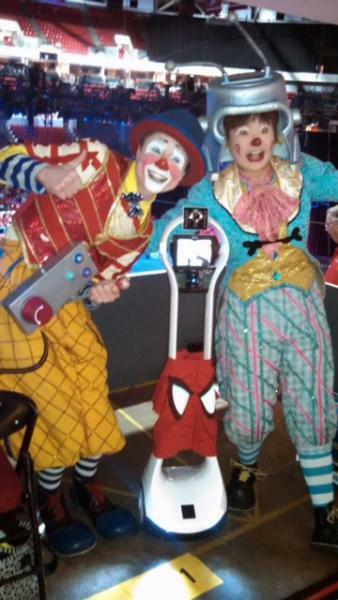 RALEIGH, N.C. - A Wayne County second grader with an often fatal genetic disease was able to attend the circus in Raleigh with his classmates thanks to the VGo robot. 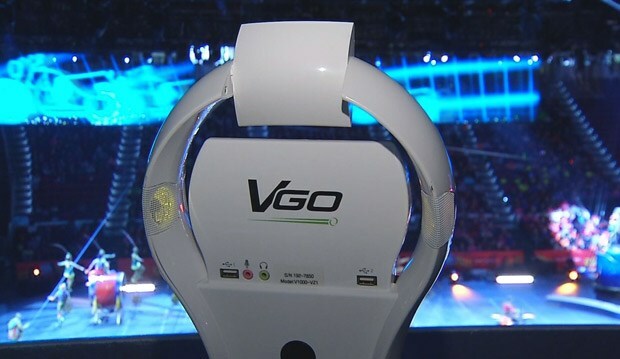 Logan Burch, 7, was able to see the show courtesy of his VGo robot. "He is at risk of being immune compromised with his respiratory function so he has to not be around germs. He can't be around his peers to keep him safe and healthy," said Logan's occupational therapist Jennifer McIver. Burch was born with Type 1 Spinal Muscular Atrophy. "Most people know SMA as the pediatric form of ALS where the muscles degenerate over time," said McIver. It's the leading genetic killer of children. Burch can't leave the house for class or field trips, so the VGo is his eyes and ears. When permission slips went out for the class trip to PNC Arena to see “The Greatest Show on Earth,” Burch's classmates didn't want to leave him behind. So, school officials contacted arena workers to find out how to get the robot in the area. "He's never seen the circus before so him being able to be a part of this is something that has been a dream come true for him and his parents," said teacher Sarah Dunn. Burch is currently one of four students in the state to use the VGo robot. He is also the only student in the nation using eye-gaze technology to guide the robot through the halls and classrooms of Northwest Elementary.